This is a versatile salad that goes well with rice and other dishes! Chop all ingredients small and put into bowl. Add mint and salt and toss. Add lemon juice mixed with a few spoons of Olive oil. 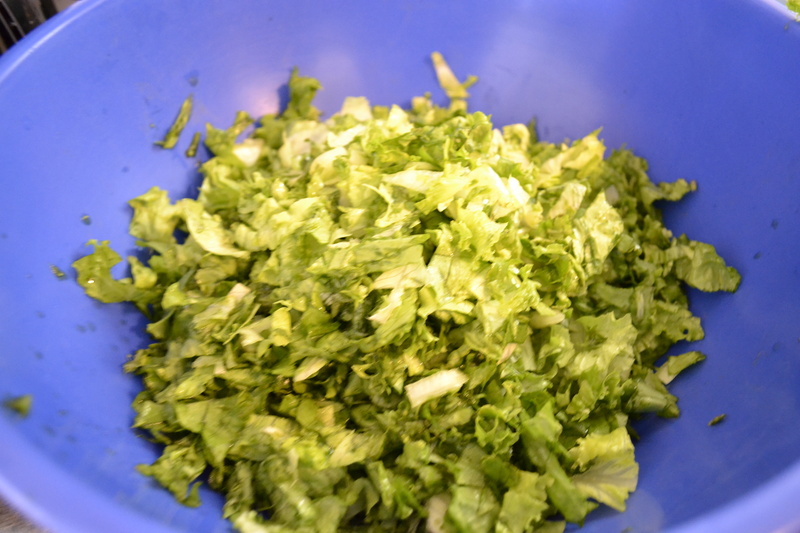 Toss salad well. This is delicious when put inside of a Shwarma (sandwich) or with rice or just on its own. 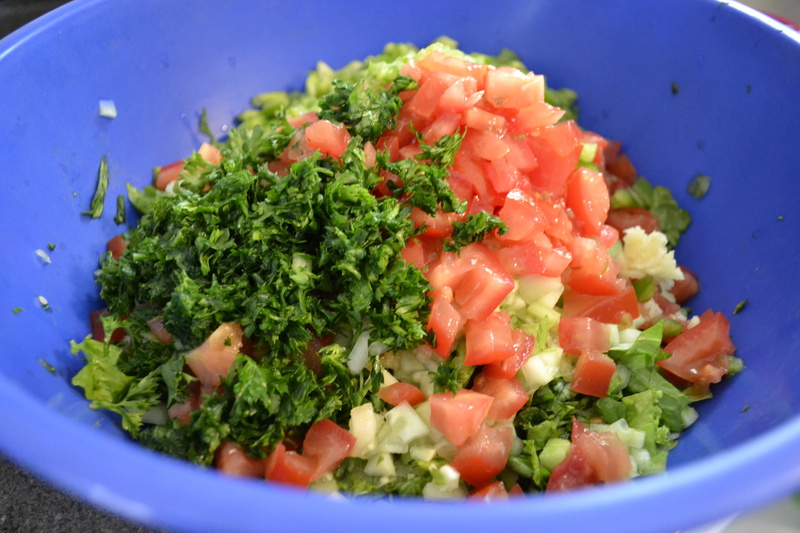 I will put a Kufta Sandwich soon and this salad goes great in it!